The cursor blinks. The page remains unchanged. The writer goes to make coffee. The writer returns. The cursor still blinks. The page is still unchanged. The writer bangs her head. Repeat. Writing prompts have saved me on more than one occasion. Some days I come to the page with enthusiasm, words brimming, stories bubbling. Other days, not so much. I struggle, I fight, and I make coffee. One a day keeps the blues away. It is good if you have a set, daily time to write. I don’t; I write whenever I can. Sometimes it is on the train. Sometimes it is when I am waiting for an appointment. I write at my desk. I write in my car. I write in a waiting room. Find what works for you and do it. Write by hand. I use an A4 hardcover spiral-bound notebook. I use a sharp pencil or a black pen. Writing by hand when I do a prompt works for me, but if an iPad and a stylus or a keyboard works for you, go for it. Set a timer and keep writing. I usually set a timer for ten minutes. I don’t have to stop after ten minutes, but I can’t stop before then. I have to write for the whole time. The more you practice the easier it will be to keep going. It is open to interpretation. There are no rules except to keep your hand moving and to write for the whole time. What you end up writing about will surprise you. It starts out as one thing and ends up as something entirely unexpected. Don’t censor yourself. Embrace it. Don’t google prompts – at least not on the day. I do find prompts on the internet, but I print them out. The danger of googling them is that I keep looking for one that I like and then, I spend an hour on the internet instead of writing. 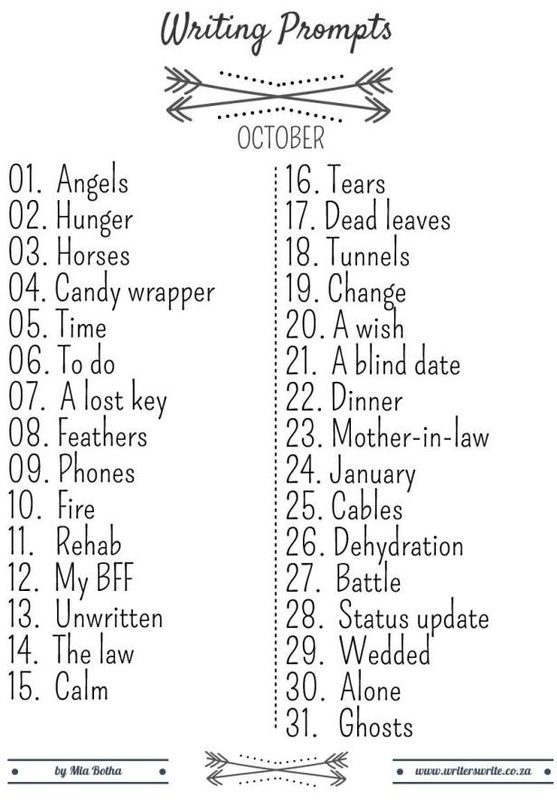 I made a list of prompts for October to help you avoid that. 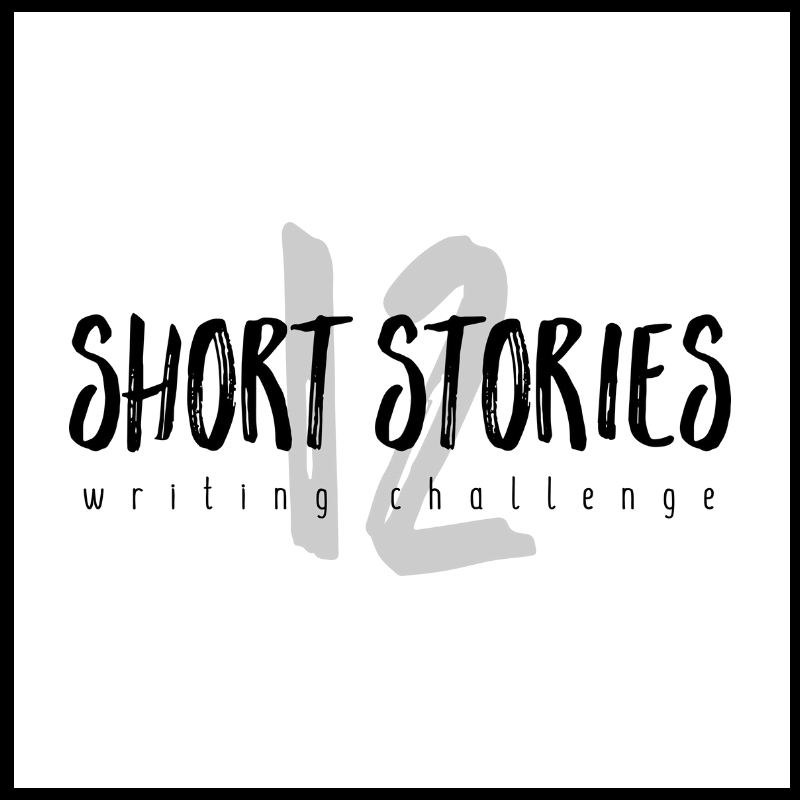 If you want to receive a daily prompt, click here to join our mailing list. Reap the rewards. Your notebook will be a great place to harvest story ideas, especially when Short Story Season, aka November, comes around. You can of course use them for any other month as well. Unwinding. 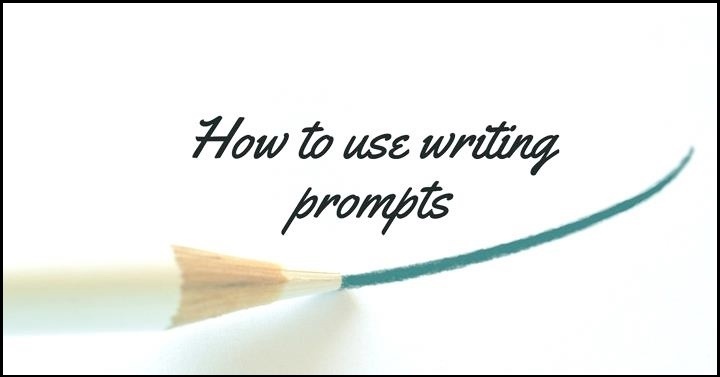 Prompts also give you a break from your novel, but you can also use them to explore characters and alternate scenes for your book. I cannot stress the importance of writing daily. Practice makes perfect. If you want to receive a daily prompt, click here to join our mailing list.